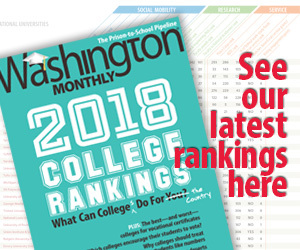 Washington Monthly | A New Front? Putin didn’t name any specific countries, but his comments appeared to be aimed against European and U.S. officials who have urged Moscow to conduct peace talks with Chechen rebels. That sounds suspiciously like, “You’re either with us or you’re with the terrorists.” I sure hope Putin’s definition of terrorist turns out to be the same as ours.